This alloy belongs to the class of 11 European titanium alloys. It is similar to Grade 1, but includes the palladium, which increases the resistance of alloy to corrosion at high temperature and erosion in acid and chloride environments. The alloy has a good plasticity, toughness and good weldability. The strength properties of titanium depends on the presence in its composition of impurities, which are divided into two groups: 1) impurities of implementation: nitrogen, oxygen, hydrogen, carbon, and 2) impurity substitution: silicon and iron. Impurity introduction: have a stronger impact on the quality of titanium — reduce the ductility and increase the strength. The strength of pure titanium 57 HB may increase more than two times. The presence of oxygen at a concentration of 0.1−0.5% has little effect on the ductility of titanium, but with the content of 0.7% Titan completely loses the ability for plastic deformation. Nitrogen increases the ultimate strength while reducing ductility. Supplier of titanium alloys offers only certified products. Technical documentation has all the information about chemical composition, % impurities, the mechanical properties of titanium sheets. We can buy a Grade 11 alloy — 3.7225 — CP Ti-0.15 Pd round, bar, sheet: at a reasonable price. You will be satisfied with the quality and price of titanium alloys. Wholesale buyers of the company Electrocentury-stalmost to purchase a Grade 11 Titan — 3.7225 — CP Ti-0.15 Pd circle, rod, sheet from discount discount. 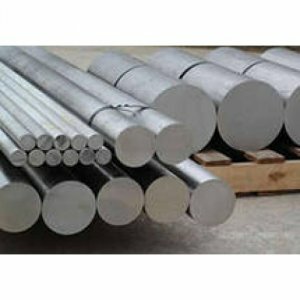 Grade 11 titanium — 3.7225 — CP Ti-0.15 Pd round, bar, sheet: supplier Electrocentury-steel can be purchased wholesale or retail. On the website reflected the price and mix of products to date. Excellent product quality and reasonable price — face provider Electrocentury-steel. Regular customers can purchase a Grade 11 Titan — 3.7225 — CP Ti-0.15 Pd circle, rod, sheet, using a discount system of discounts from the supplier Electrocentury-steel. Delivery is carried out from warehouses located in Russia and Ukraine.